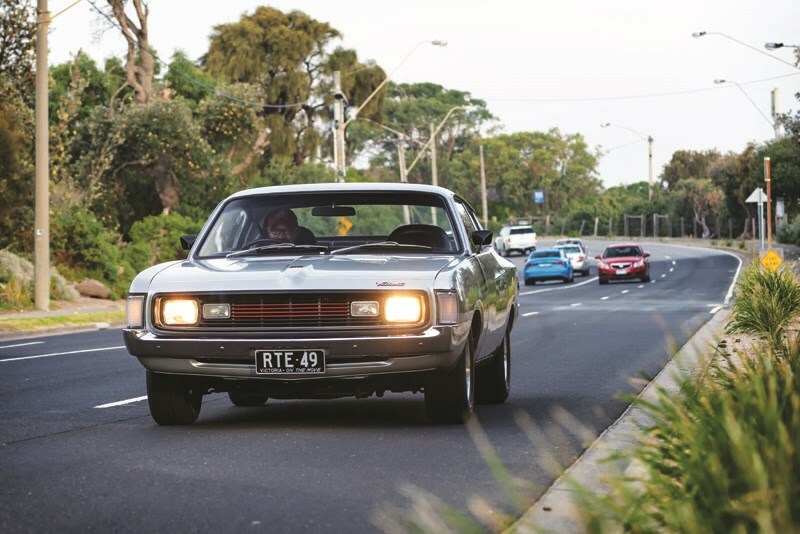 The late-60s/early-70s, I reckon, was the best period in the Australian motoring industry. It’s when we made world-class muscle cars that were superior to American cars, and the Charger was right in the middle of it. 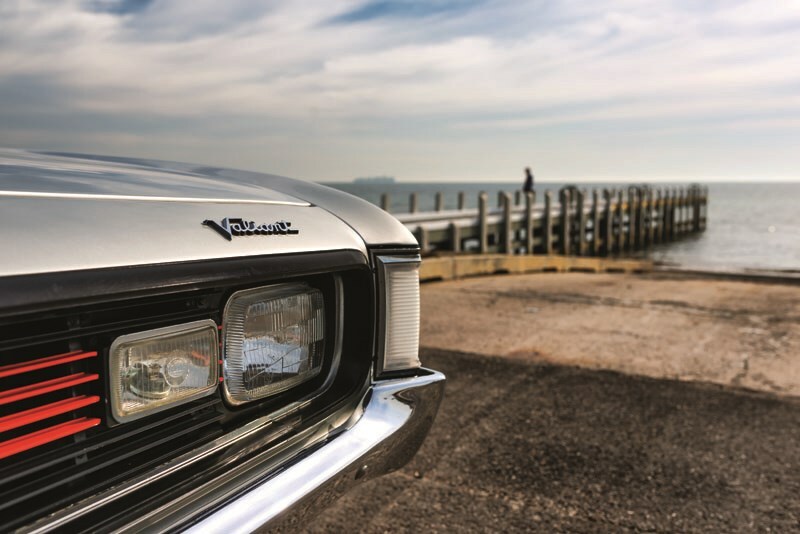 They were dynamically better than their US cousins and the VH Charger won Wheels magazine’s Car of the Year in 1971, so it was a good thing. Back then Holden, Ford and Chrysler were all competing in the highly competitive Group E Series Production series and the ‘Big Three’ were all building cars to perform well at Bathurst which was the event to win in those days and still is, really. That old adage ‘Win on Sunday, sell on Monday’ was actually real in those days but I don’t think it is now, especially with Chrysler long gone and the Falcon and Commodore soon to become extinct. A win at Bathurst almost guaranteed manufacturers would sell more cars because the model people could see in showrooms was essentially the same car that won at Mount Panorama. Imagine being able to walk into a dealer now and buy a V8 Supercar? That’s basically what it was like back in the early-70s. 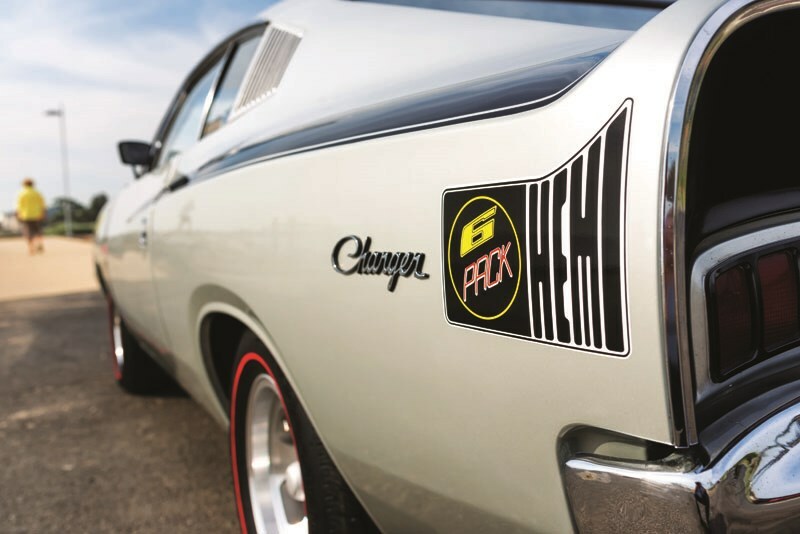 The big difference with Chrysler in the track battle between the Big Three is that it went up against the V8 Fords with a six-cylinder engine. 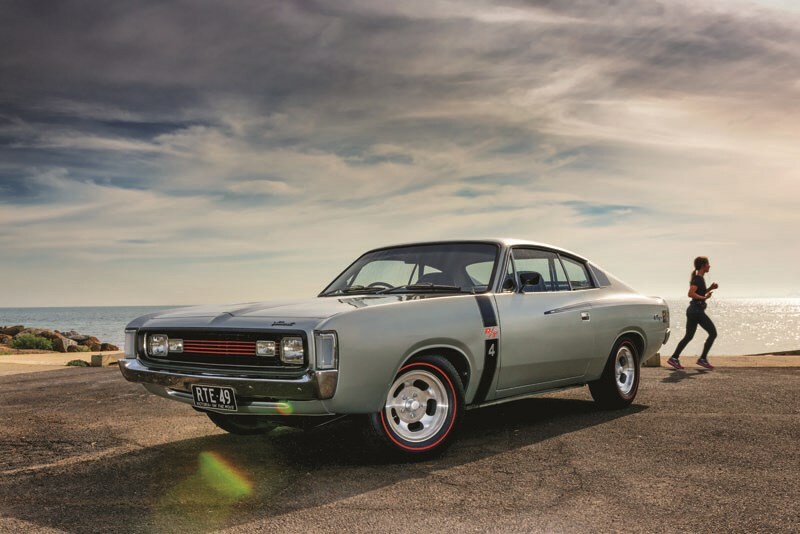 That was a bold move even though Holden’s smaller Torana XU-1 had proven how well a lightweight six-cylinder car could go against the more powerful but heavier V8 Falcons. 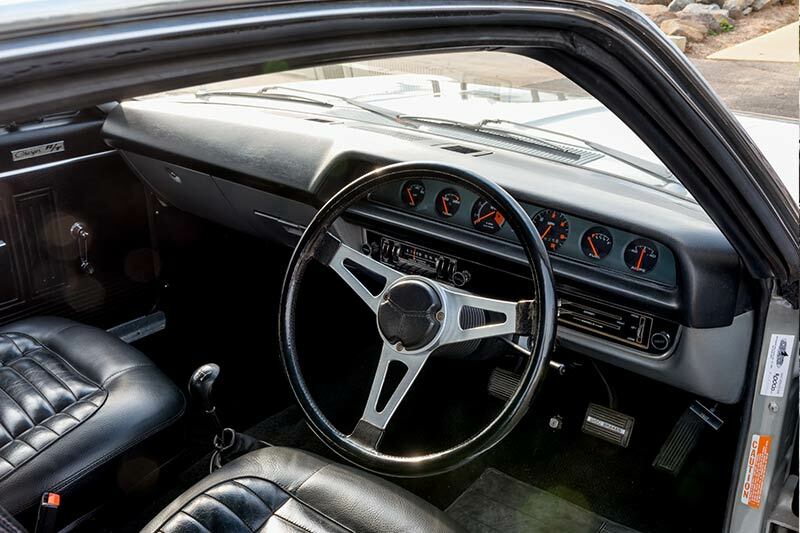 Chrysler’s first local performance car was the six-cylinder Pacer, which had a three-speed transmission. 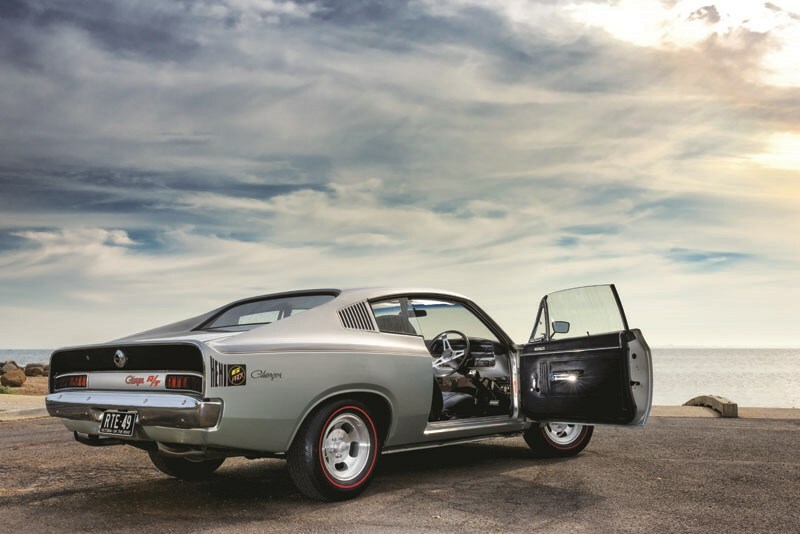 It was followed by the short-wheelbase Charger coupe, which was a sensation due to its great styling and very clever ‘Hey, Charger!’ advertising campaign. 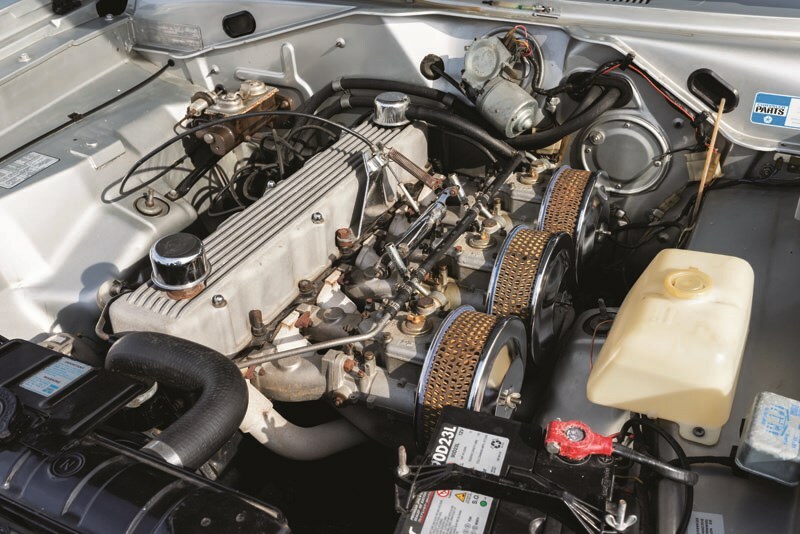 The R/T E38 Charger had a 210kW Hemi 4.3-litre six with triple side-draft Webers – effectively one carburettor for each cylinder and fairly exotic for the time – but strangely, it made do with the three-speed gearbox which really restricted it, particularly at Bathurst. 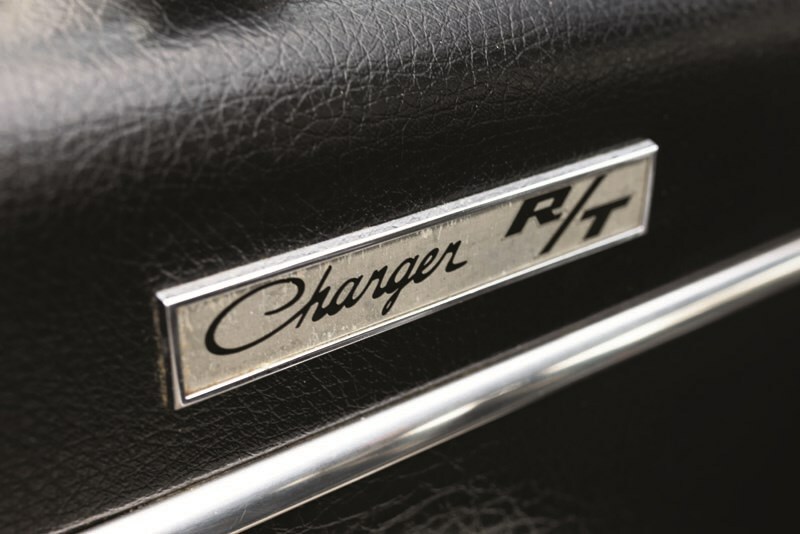 The next hot Charger, the R/T E49 had a little more power (225kW) from the same displacement engine but it got a Borg-Warner four-speed ’box. Leo Geoghegan did a lot of the test driving for Chrysler and I remember seeing a pic of a Chrysler ute boring around Mallala. Chrysler used the ute as a test mule for the Charger because it had a shorter wheelbase. 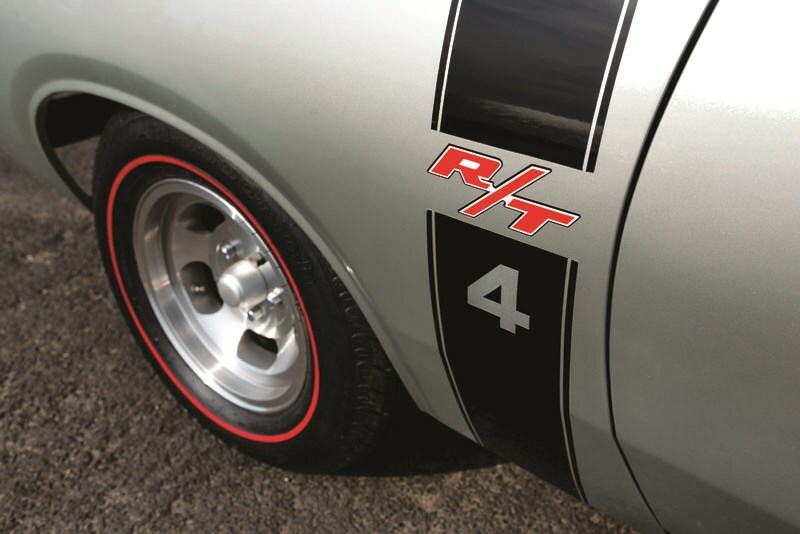 At Bathurst in 1972 the R/T E49s were up against Phase III GTHO Fords and LJ GTR XU-1Toranas. 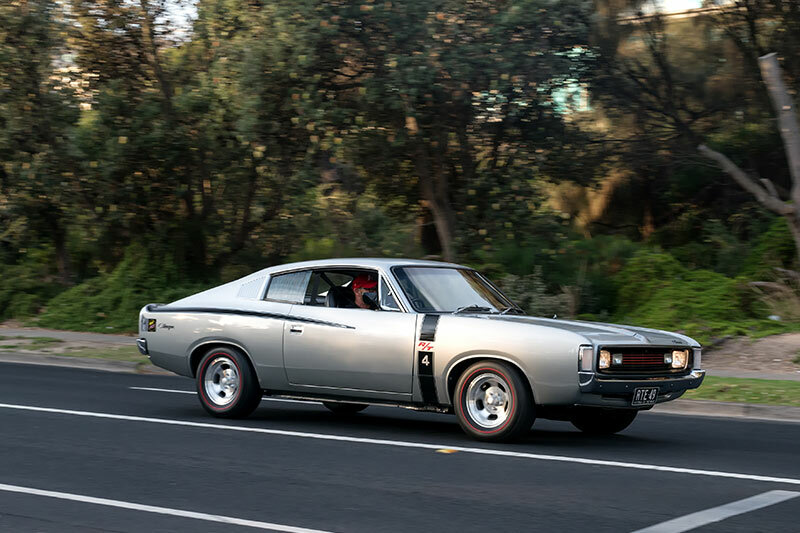 There is no doubt that the Charger handled better than a GTHO and it had a bigger engine than a Torana XU-1 but the best Doug Chivas and Damon Beck could do was third that year behind John French in a Phase III and Peter Brock in an XU-1. 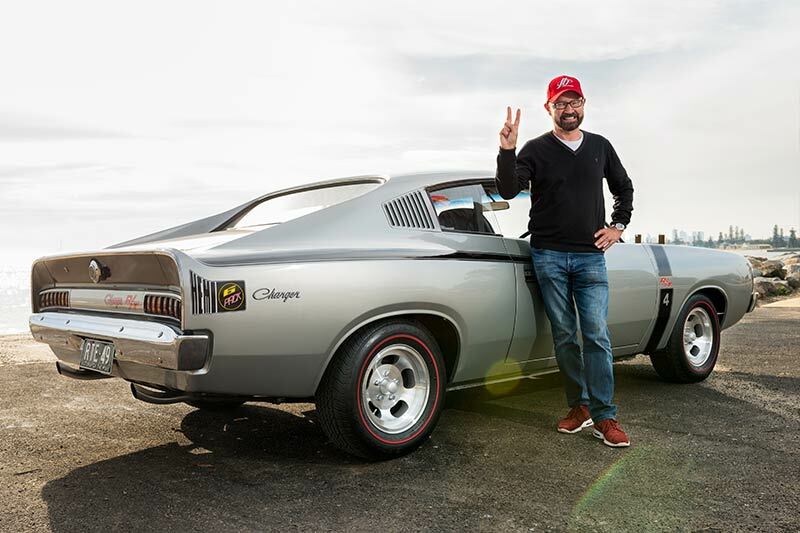 It was the best the Chargers ever did at the Mount Panorama event. Things might have been different if the next Charger had seen the light of day. 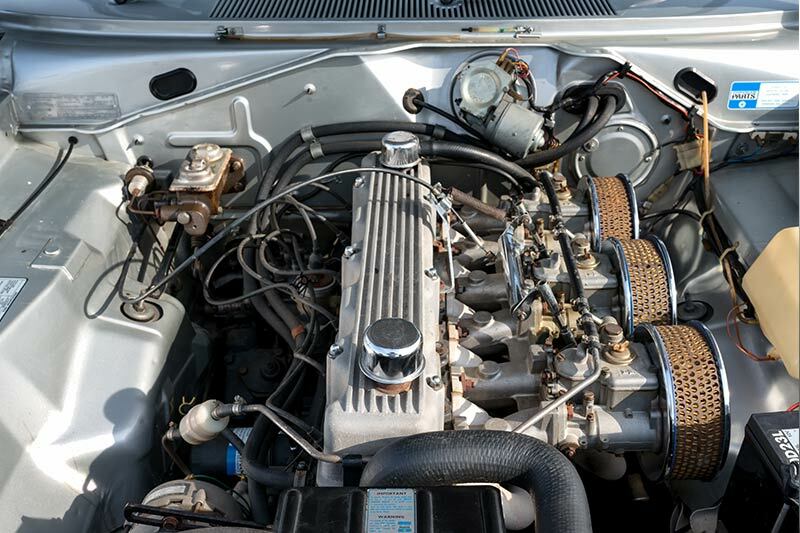 The E55 was to have a 340ci V8 which would have seriously taken it up to the Falcon GTHOs but it was killed off, like the Phase IV, in the ‘supercar scare’ of 1972. Journalist Evan Green wrote a piece in the Sun-Herald about the coming "160mph ‘super cars’", the Minister for Transport got on his high horse, and the manufacturers went into a mild panic and shut down their programs. Holden was set to build an LJ Torana with a 308 in it, Ford had already built a few XA Phase IVs, which are now worth a fortune, and Chrysler had the E55 ready to go but they were all canned. What a Bathurst battle that would have been! This car belongs to my mate Chris Sparrow and it’s pretty rare; we think only four silver E49s were made. 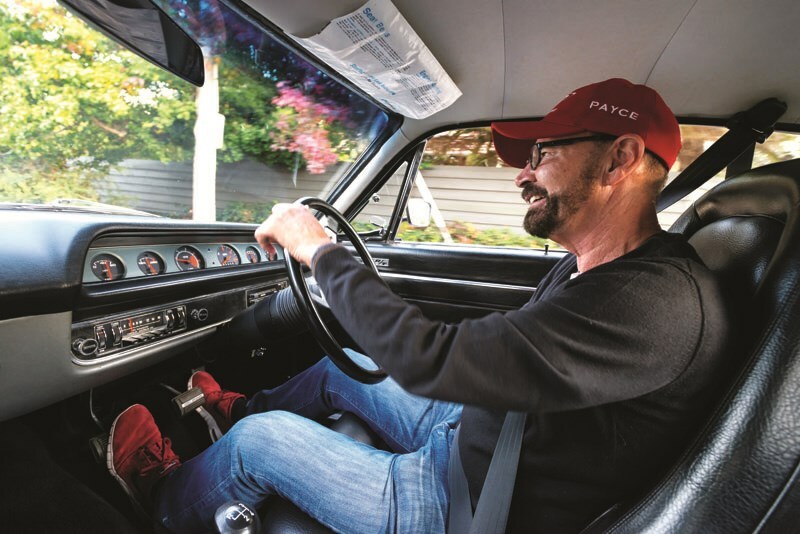 In their day these cars, like the GTHO and the XU-1, were a big deal and if you drove one of these you were ‘the man’; it was a real head-turner. 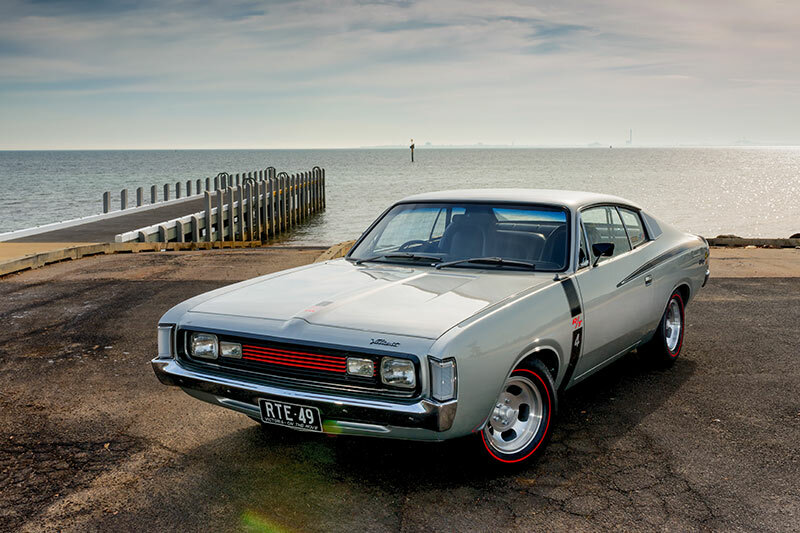 I reckon it’s better looking than any American Chryslers of that era, with the exception of the first Barracuda. Getting out of a modern car into the E49 you have to remind yourself that it is a 46-year-old car without all the new-millennium mod cons but I like the way it drives. 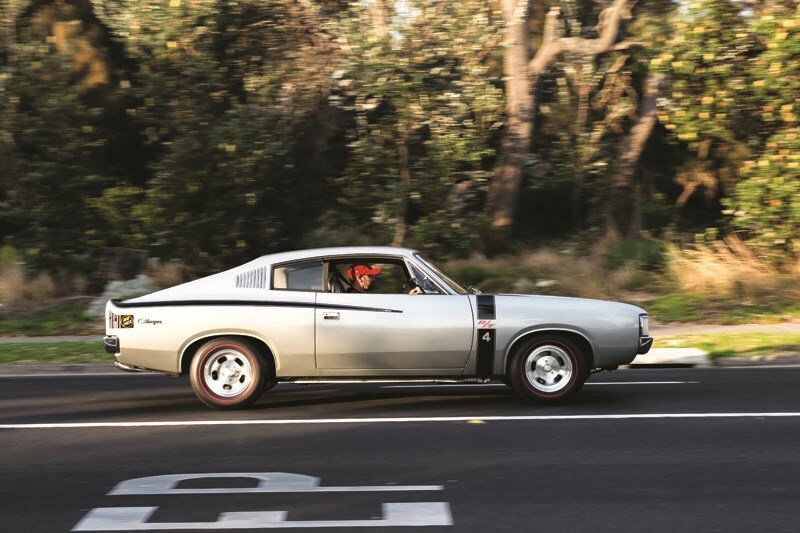 There’s a simple purity to cars from this era and the Charger was always a good handling car because it is pretty wide and has a relatively short wheelbase so it reacts quite nicely to direction changes. By modern standards its unassisted recirculating-ball steering is a bit vague but the Falcons were the same. That big six is smooth and torquey and the induction noise from the Webers is fantastic. You know how much I like straight-sixes. The four-speed ’box has an unbreakable feel to it and the clutch isn’t too heavy but, boy, the brake pedal is. It has discs on the front but there is no power-assistance so it has a very hard brake pedal that needs a good shove. 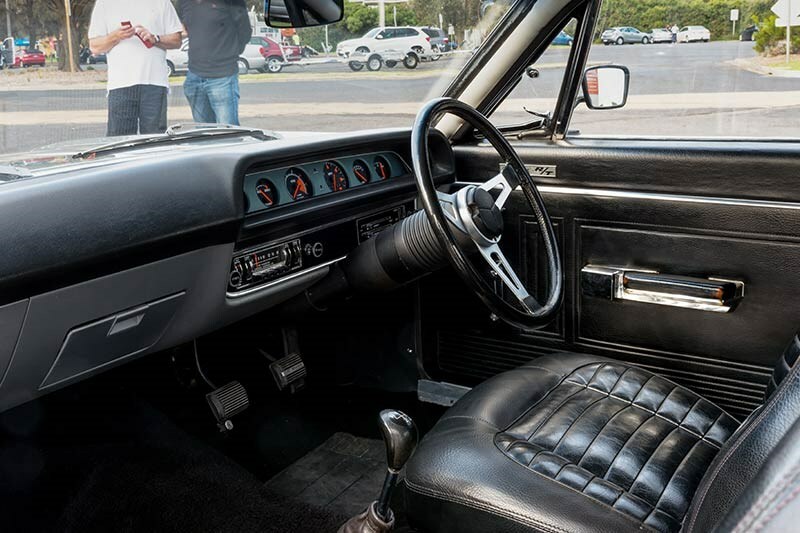 How those guys, sitting on production seats, held themselves in place when they were pushing hard on the brake pedal at the end of Conrod Straight in the ‘70s is beyond me. After the super car scare, touring car racing rules were changed to allow more modifications and the cars that raced at Bathurst from then on were no longer ‘showroom’ models. Being too young to race at Bathurst in the Charger days, driving Chris’ E49 makes me nostalgic for a time when racing and life were simpler. This car is now for sale (Sept/Oct 2016). Call Chris Sparrow on 0425 800 449. Genuine enquiries only.